Bus travelers in Cork were the first passengers to ride a ‘green bus’ in Ireland on March 25. 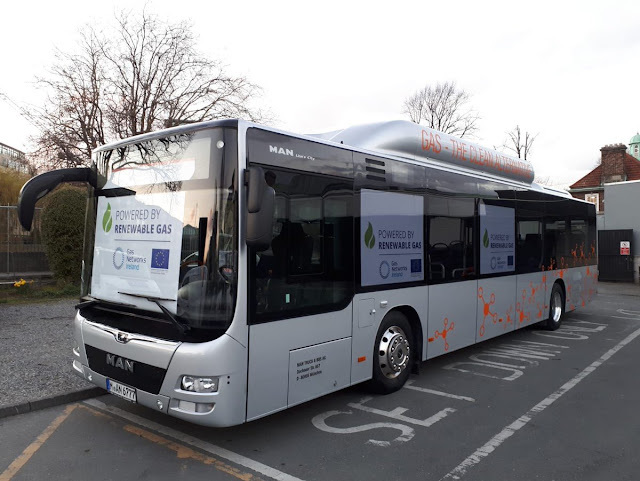 With zero carbon emissions, this biomethane vehicle is a viable alternative for Ireland’s public bus fleet, and the bus has been part of national trials looking at its performance, air quality impacts and CO2 emissions, among other criteria. “Energy Cork has been advocating the benefits of adopting CNG and biomethane for our public bus fleet in Cork for a number of years, so we are delighted to be making a journey on Ireland’s first zero carbon emissions bus,” said Michelle O’Sullivan, Energy Cork spokesperson and Cork Chamber Public Affairs Senior Executive. The first supply of cars and trucks in Italy with only biomethane took place in Rapolano, in the province of Siena. The supplies were made as part of the opening ceremony of an IP-branded service station created by Snam. 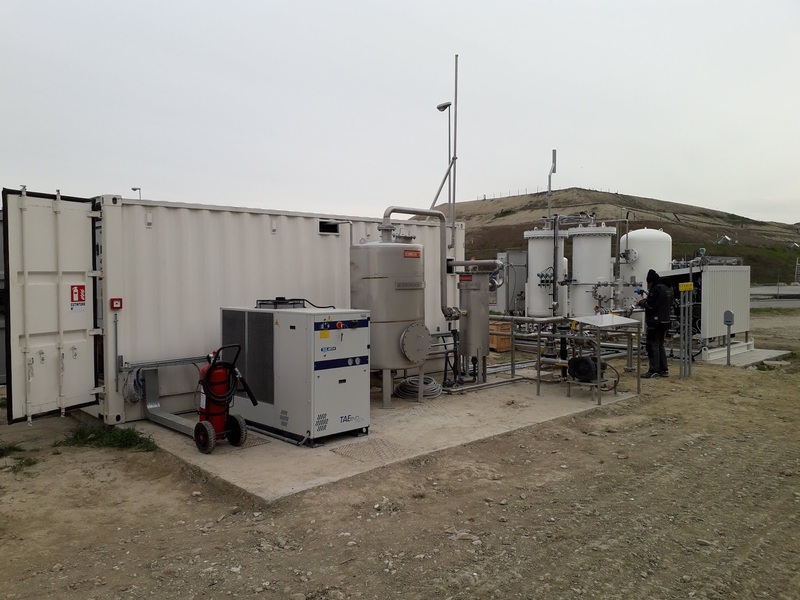 The distributor, located at the Siena-Bettolle junction, is currently the only company in Italy that is able to supply vehicles with 100% biomethane, obtained from the organic fraction of urban waste. The initiative also involves the collaboration of SEAT. 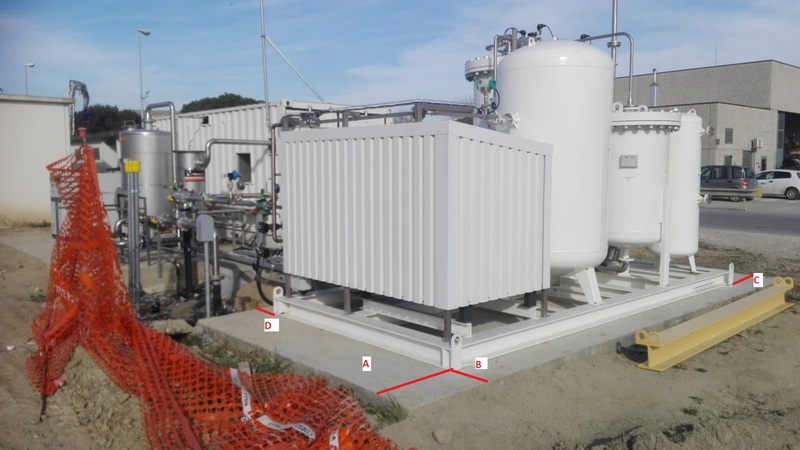 The green fuel was supplied to Piccini Paolo Spa (the owner of the plant) by SESA Spa (Estense Environmental Services Company), a Padua-based company, and will allow for the delivery of over 150 supplies. In the future, the refueling station could be powered by biogas plants that will open in the area. Rapolano is the sixth distributor created by Snam in Italy. Biomethane sector is rapidly developing. Currently, there are six plants connected to the Snam network in Italy: in Lombardy (Milan, Montello and Sarmato), Calabria (Rende), Emilia-Romagna (Sant’Agata Bolognese) and Lazio (Anzio), with about 30 other producers planning to be connected in the future. 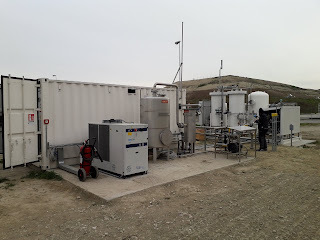 According to the estimates of the CIB (Italian Biogas Consortium), the country has a production potential of 8 billion cubic meters per year of biomethane by 2030, a quantity exceeding 10% of the national gas needs. Using natural and renewable gas for transport combines environmental sustainability with positive economic impact, reducing emissions of particulates and NOx, significantly reducing CO2 emissions and ensuring significant savings for consumers. Italy has the largest number of NGVs in Europe (around 1 million) and the most developed refueling network (1,300 distributors), which is also expanding thanks to Snam’s investments. Scania, an automaker that is leader in alternative fuels and that has been developing engines designed from factory to operate with natural gas for more than a decade, has noticed the increase in the use of natural gas in road transport during 2018 and offers an analysis of the costs of operation to switch to this fuel. 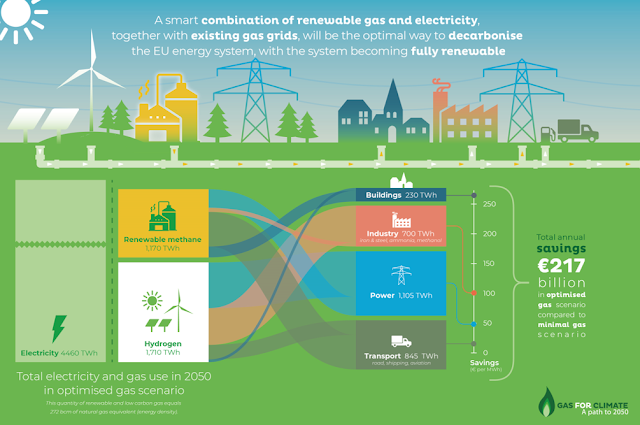 “Currently, natural gas and biogas are the only fuel option to help decarbonize the heavy transport of goods and passengers. The sale of Scania vehicles powered by natural gas has grown exponentially and has a lot of margin for growth. Looking forward to 2019 we expect to double our sales in alternative fuels. For Scania, this fuel is not much new, we have been developing natural gas engines for more than a decade and working with this fuel since the beginning of the century,” explained Manuel Arias, responsible for sustainability at Scania Ibérica. – Profitability, derived mainly from the lower consumption of the vehicle compared to the diesel equivalent and the price of natural gas as fuel. 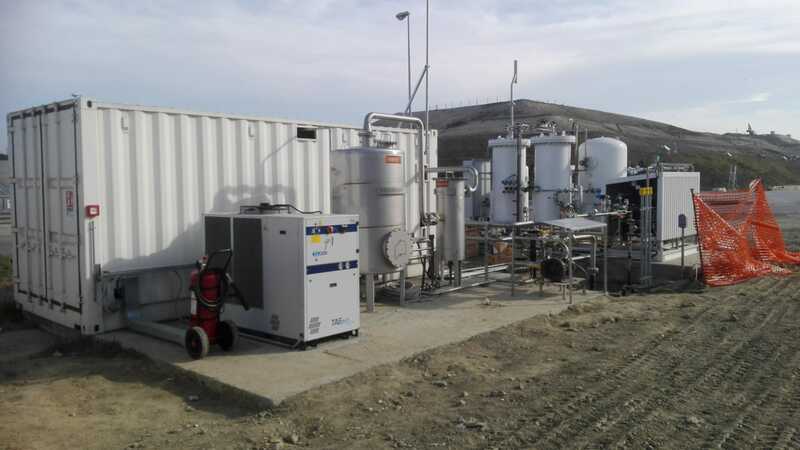 – Reduction of CO2 emissions of up to 15-20% in the case of natural gas and up to 90% in the case of biogas. These emissions are those that produce the greenhouse effect and accelerate the global warming of the earth. – Extra reduction of emissions regulated by the Euro standards: NO2 by 100%, NOx by 80%, particles by 96% and SO2 by 100%. These emissions are those that accumulate in cities and negatively affect the health of the people. – Range of up to 1,600km in the current offering of Scania engines ranging from 280 hp to 410 hp. – Reduction of sound emissions of up to 50%. This factor is important especially in the face of night distribution of goods. Possibility of complying with the demanding PIEK noise level regulation that has become a reference in Europe. – Reduction of fuel consumption. – ECO Label and access to cities in scenarios of restrictions due to high pollution. – Image of a sustainable company committed to the environment through the use of this fuel. In 2018 natural gas in road transport has consolidated as the best sustainable alternative, with 5,745 new registrations, representing an increase of 146% compared to 2017, according to a study of the Iberian Association of Natural and Renewable Gas for Mobility (Gasnam). Currently, there are more than 144 natural gas stations in Spain: 71 public and 73 private, and the opening of 46 more is foreseen. In Portugal there are 11 operational natural gas stations. These figures are increasing progressively as confirmed by GASNAM. In this extremely encouraging scenario for sustainable mobility, where more and more heavy duty fleets add vehicles powered by natural gas, AltFuels Iberia 2019 will take place on 11-14 June at IFEMA Trade Center, Madrid. It will be an event consisting of first level conferences and exhibition of vehicles of all kinds, refueling stations, components, plants, road and marine engines, as well as the entire universe of the alternative fuels industry with the latest technological developments, multiple options for networking, business and new advances. For more information, please contact info@altfuelsiberia.com.